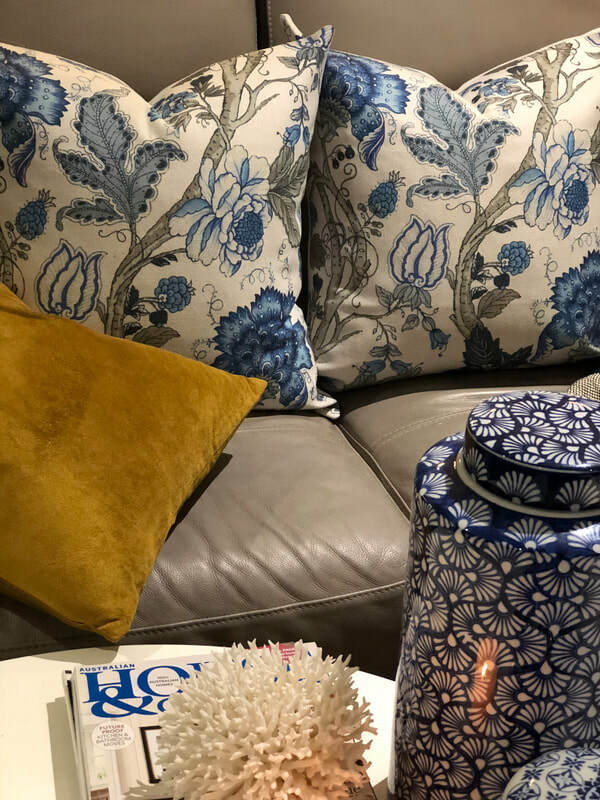 "Cushions are the jewellery for your home." 1. Simply send Kylie an email with the name of the cushion cover/s you would like to order and your FULL POSTAL ADDRESS. 2. Please also let me know whether you would like to pay via PAYPAL or EASY BANK DIRECT DEPOSIT. 3. I will then send you an invoice via email. SIMPLE. Please see CONTACT page for more information if required. Feel free to also check out my new PATIO RANGE on the next page. Would also love for you to check out pages above - CUSTOMER FEEDBACK and PRESS ADVENTURES. ​All covers are 45cm x 45cm. Limited Edition Euro Size at the bottom of this page. Happy to ship worldwide - shipping costs apply - Paypal easy payment - please email to discuss. Colour: LIGHT BLUE: The perfect mix and match Hamptons blue for all your Interior needs on premium thick linen. Colour: JET BLACK: The perfect mix and match for all your Interior needs on premium thick linen. 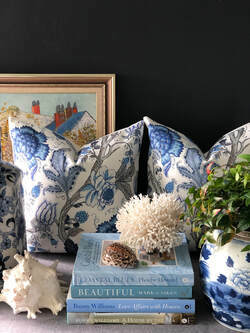 Colour: NAVY BLUE: The perfect mix and match Hamptons blue for all your Interior needs on premium thick linen. Colour: PINKS/RED: Bringing together the pretty and the beauty of Japan on linen. Colour: MULTI: Colourful Japanese Landscape on linen. Colour: RED/BLUE: Zen Style Mt Fuji on linen. Colour: GREY: The perfect mix and match Coastal Grey for all your Interior needs on premium thick linen. Colour: MULTI: Tropical Luxe Junge Parrots on premium plush cotton with piping. Colour: GREENS: Holiday tropical destination feels with luxe leaves on linen. Also Euro Size Available at bottom of Page. Colour: BLUES, GREEN, WHITE: Stunning textured embroidered flowers with premium cotton white back. Colour: GREY and WHITE: Striking textured pattern with premium cotton white back. Colour: BLUE AND WHITE: Stunning fish on blue silk, with velvet back and piping. Colour: ORANGE and WHITE: Orange pattern with premium cotton white back. Colour: BLUE and WHITE: Rich textured blue and white embroidered flowers with patterned back and floral flourish border on thick linen cotton. Colour: GREY, YELLOW AND WHITE: A cheeky exclusive cockatoo to The Coastal Cushion Company. 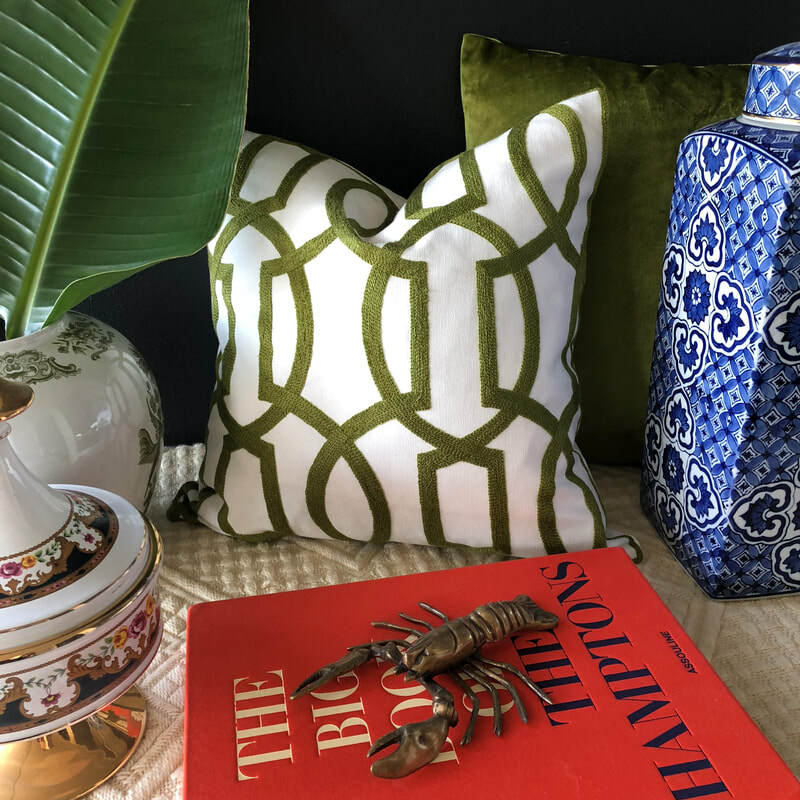 Tropical Jungle Lush on linen. 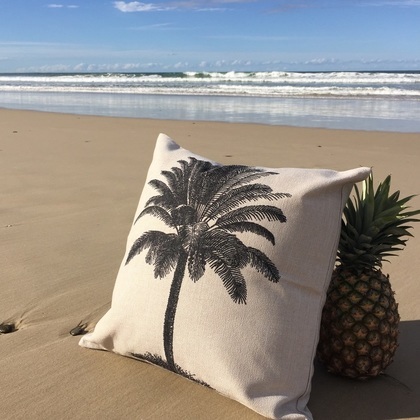 Spectacular Palm Tree Island Style on linen. Banana Leaf Greatness Love on linen. Swaying Island Palms on linen. Fabulous Koi and Lillies on linen. 4. Gift Certificate is emailed back. 5. Ready to print to give to your recipient. 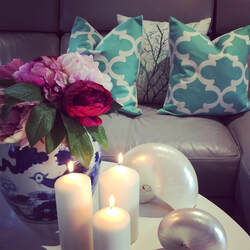 Recipient can select ANY cushion cover and even use Gift Certificate towards their order and pay the balance if need be. ​Great idea for someone that likes to choose!